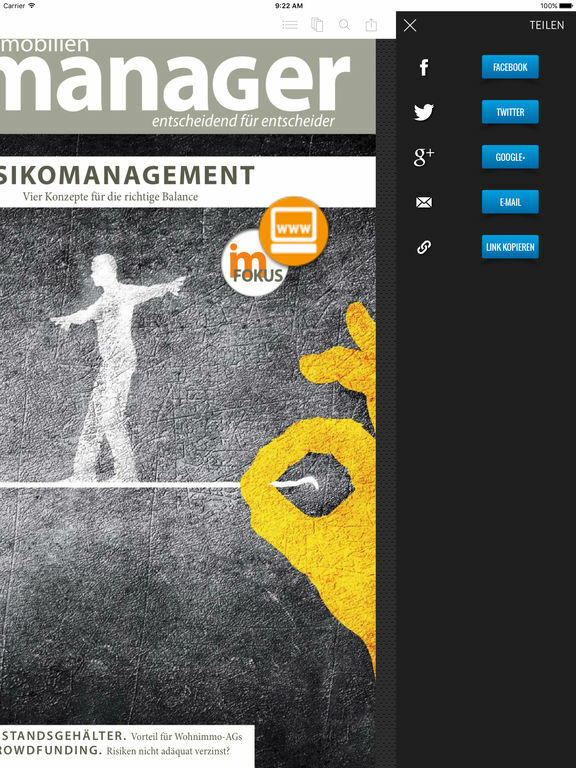 immobilienmanager is the monthly trade and opinion magazine for decision makers in the property business. It offers readers well researched property information and critical discussions. 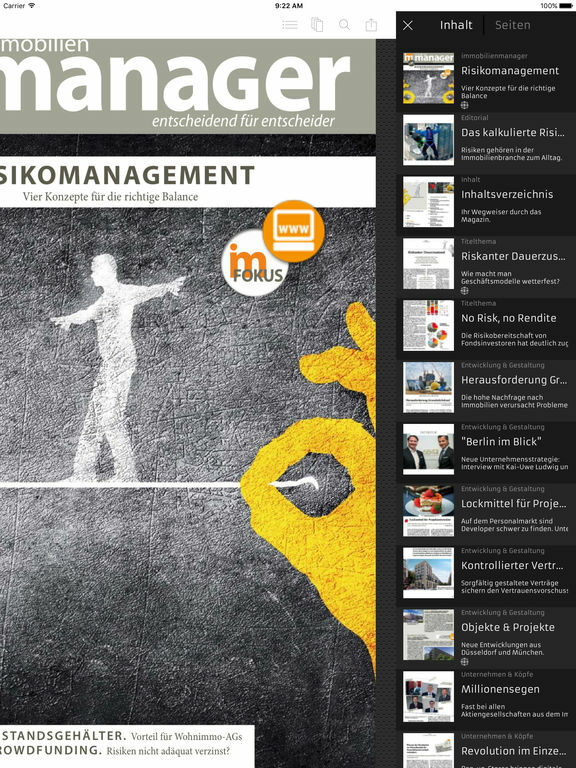 Every month immobilienmanager features the most important news and facts as well as the latest trends in the property markets and, in doing so, promotes market transparency. 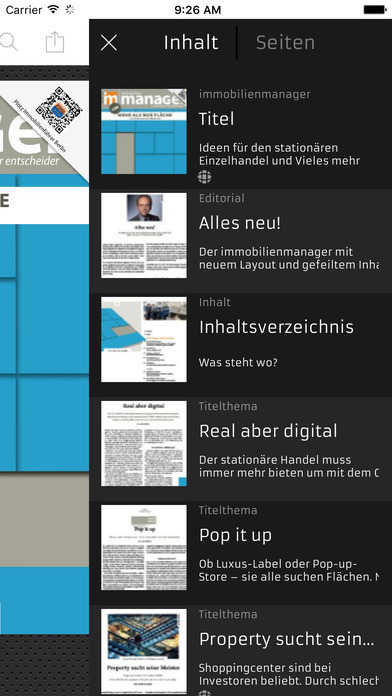 Extra services such as the daily newsletter complete the B-to-B-magazine’s offer. 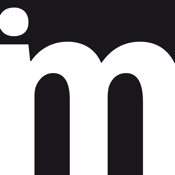 immobilienmanager has established itself as the leading trade medium amongst the top decision makers in the property business. Opinion meets market information. Not just in the magazine, but also in the editions and specials, which treat on a special thematic focus or a regional location. 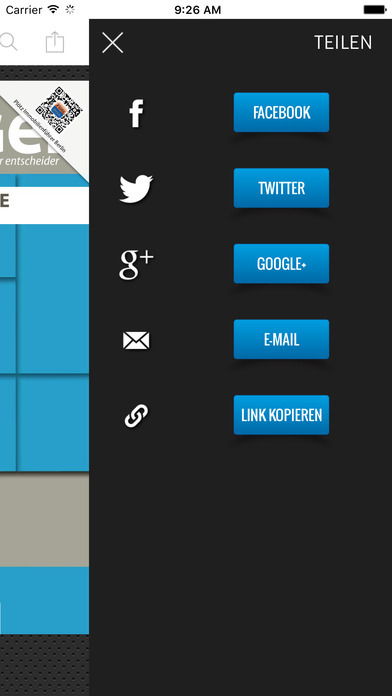 You will find detailed analysis and insights, exciting projects and background information. 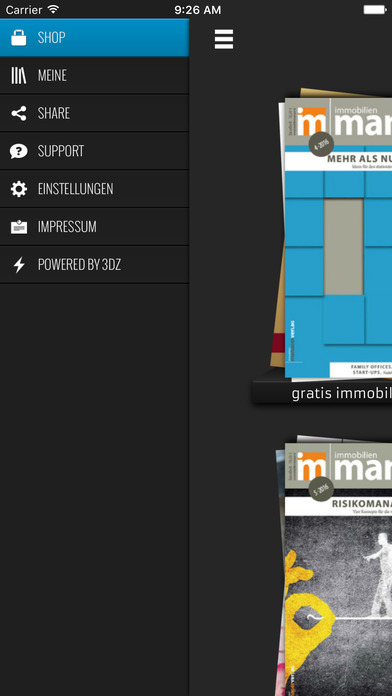 Download the free app, gain an overview on the first pages of the current version of immobilienmanager. If you decide to make a purchase, you can purchase the issue(s) either as a single purchase or as a 12-month subscription. 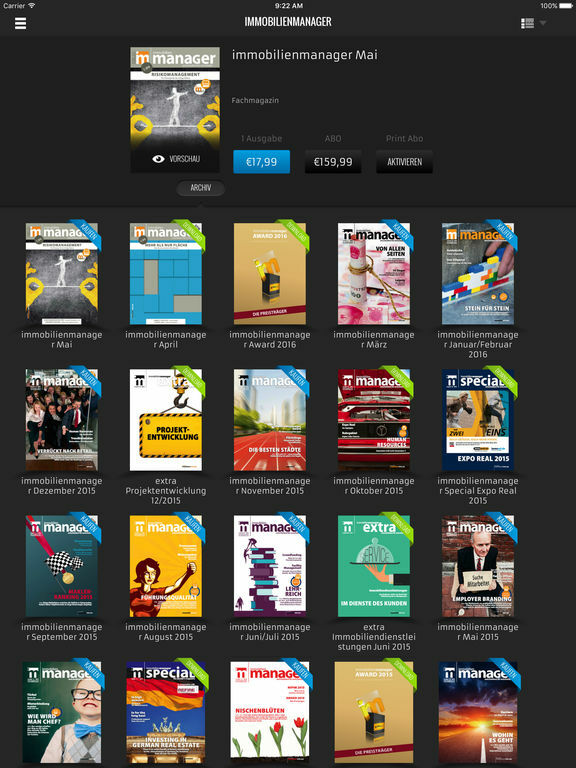 the 12-month auto-renewing subscription (10 issues) costs 159.99 €. 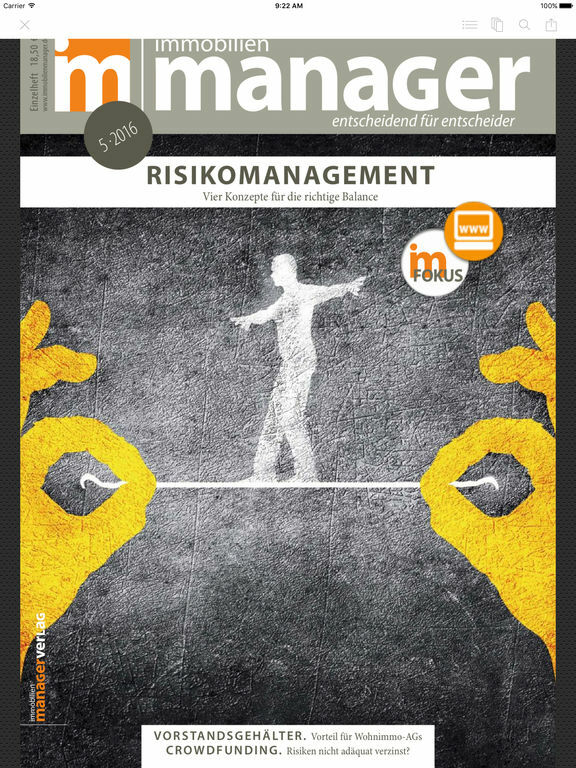 Print subscribers of immobilienmanager can unlock the digital editions of the magazine as an exclusive service within their existing subscription for free.